Are you scratching your head on those last few gifts. Maybe teacher gifts, co-workers, hostess gifts. 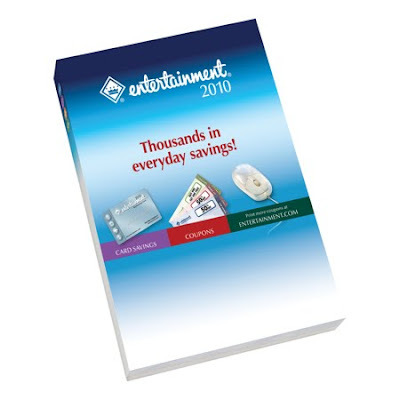 Well, don’t forget about the 2010 Entertainment Book. The great thing about it is that right now it is only $19.99 with FREE shipping. So for twenty bucks you’re giving a gift that saves them money and saves you money.